Well, I've always joked that it was channeled to me. [Be]cause it was very easy. But it was after talking, just talking with people. That's what people told me. So I wrote it down. You know, I organized, wrote it down. It was really given to me by the people. And that's why I've always said it's for anybody's public use. It's not mine. I don't own that. So, there's no great story behind it, other than this is what people were sharing with me, with their stories when I go to mixed family groups, or conferences, or just �talking with people individually. It all came out of that. I didn't make a single piece of that up myself. -Maria P. P. Root�describing the creation of her "The Bill of Rights for People of Mixed Heritage". "Episode 113 - Dr. Maria P. P. Root," Mixed Chicks Chat, August 7, 2009, (00:22:31 - 00:23:22).�http://recordings.talkshoe.com/TC-34257/TS-237195.mp3. Donna Nicol, associate professor and chair of Africana Studies at CSU Dominguez Hills. 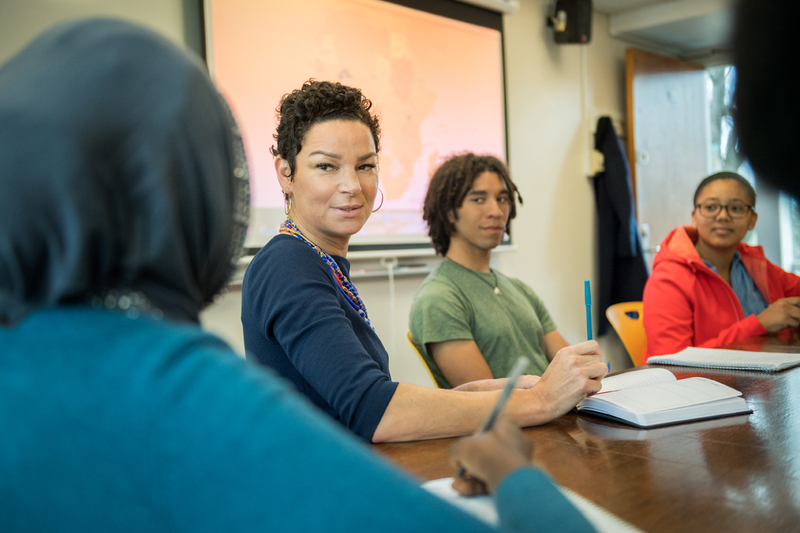 Donna Nicol, associate professor and chair of Africana Studies, arrived at CSUDH in fall 2017. As a faculty member, she teaches Comparative Ethnic and Global Societies. As chair, Nicol is working with her colleagues and the university administration to strengthen the program’s curriculum and bolster its presence on campus and in the region. A fourth-generation “Comptonite,” Nicol’s deep local roots and unique upbringing in a community-focused family has had a profound effect on her as a researcher and educator. She briefly left South Los Angeles for Ohio State University where she earned a Ph.D. in Social and Cultural Foundations of Education with a specialization in African American higher educational history, and a minor in African American Studies in 2007. …Nicol sat down with CSUDH Campus News Center to discuss her unique Compton upbringing, her latest research, and her perspectives regarding the African American experience in higher education. Q: To get started, can you tell me about your upbringing in Compton, and a little about how it influences you as an educator? 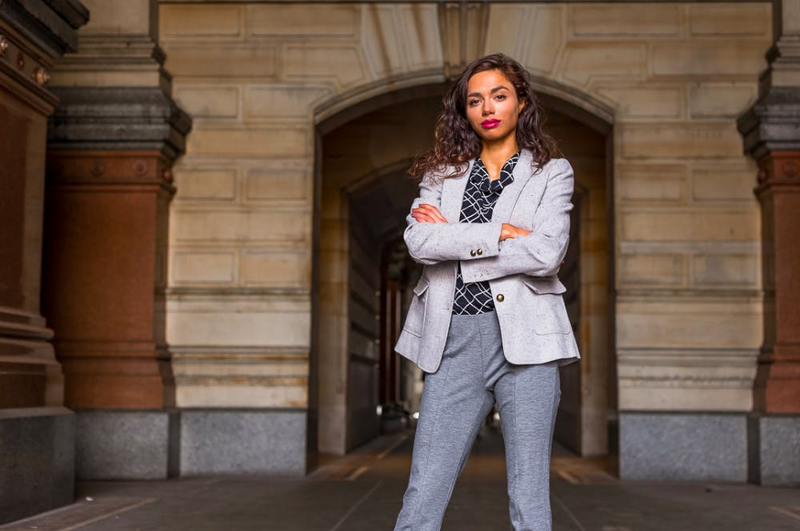 Sociology Ph.D. candidate Haley Pilgrim was elected to be the president of the Graduate and Professional Student Assembly on April 4, marking the group’s first black female president in its 70-year history. Pilgrim, who will take up the post on May 1, is the current co-president of the Black Graduate and Professional School Assembly and chair of the Inclusion, Diversity, Equity, Access and Leadership Council. Pilgrim is also the first IDEAL Council representative to be elected president of GAPSA. Journalist Walter Thompson-Hernandez came to Iowa State on Feb. 22 to speak to students about what it’s like being multicultural and speaks about how to define ones identity. As the lights went down and as the crowd hushes to a silence, a man gets up and walks to the podium. He opens his laptop and presents a PowerPoint. The first slide presents a graffiti on a blue brick wall in Los Angeles. The graffiti says “black power, brown pride – Tupac,” which led to the man’s first question. “What Tupac song is this from?” He asks the crowd. Walter Thompson-Hernandez, the guest presenting, is shocked, to realize a lecture attendee in Ames was the first to get it right. Traditional policies dictate that Black-White multiracial people conform to monoracial minority status arising from Hypodescent (the “One-Drop Rule“) and White privilege. Despite some social recognition of Black-White persons as multiracial, racial microaggressions persist in daily life. Subtle racist acts (Sue, Capodilupo, Torino, Bucceri, Holder, Nadal, & Esquilin, 2007b) negatively impact multiracial identity development. Since 2007, studies have increasingly focused on the impact of racial microaggressions on particular monoracial ethnic groups. Johnston and Nadal (2010) delineated general racial microaggressions for multiracial people. This project examines the effects of racial microaggressions on the multiracial identity development of 11 part-Black multiracial university students, including the concerns and challenges they face in familial, academic, and social racial identity formation. Data were analyzed through a typological analysis and Racial and Multiracial Microaggressions typologies (Johnston & Nadal, 2010; Sue et al., 2007b). 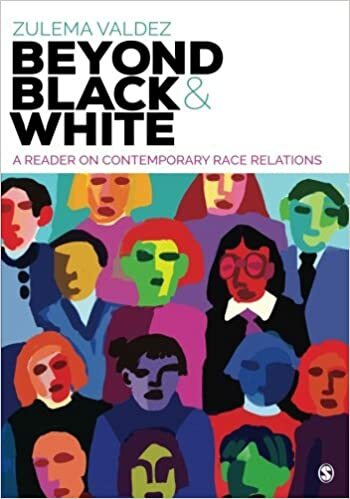 Three themes arose: (a) the external societal pressure for the multiracial person to identify monoracially; (b) the internalized struggle within the mixed-race person to create a cohesive self-identity; and (c) the assertion of a multiracial identity. Participants experienced Racial Microaggressions (Sue, 2010a; Sue et al., 2007b), Multiracial Microaggressions (Johnston & Nadal, 2010), and Monoracial Stereotypes (Nadal, Wong, Griffin, Sriken, Vargas, Wideman, & Kolawole, 2011). Implications included encouraging a multiracial identity, educating the school community, and eliminating racial microaggressions and stereotypes. Thoughts on Identity: Who is Hapa? The Daily Gazette: Swarthmore College’s daily student newspaper. Founded 1997. The first time that I consciously considered my multicultural background was in fifth grade when a friend jokingly announced to the class that I was both a Jap and a Nazi. At the time, I laughed along with the class, but I later asked my father what they meant by “Jap” after school. He was vague and kind in answering, but I understood. I knew that my dad was Japanese and that my mom was Caucasian, mostly German, but I never saw myself as really either, or even both. Being mixed race wasn’t something I thought about at the time, but I have never since forgotten. My parents often tossed around the word “hapa” in reference to my sister and me. They picked up the term back when they were in college in southern California where people often describe anyone who is half-Asian as “hapa.” Growing up, I naturally adopted the word without much thought. But after I entered high school, I began to question what exactly I considered to be my personal identity. Comments Off on Thoughts on Identity: Who is Hapa? Women from Africa, Asia, Europe, South America and nearby states in North America attended the 2015 Women of Color Leadership Conference. MC Mia Ramsey strolled across the stage in her black sweater, black skirt, white T and pink sneakers. An energetic lady, Ramsey was ready to inspire and encourage women through song, jokes, personal stories and rousing introductions of presenters. 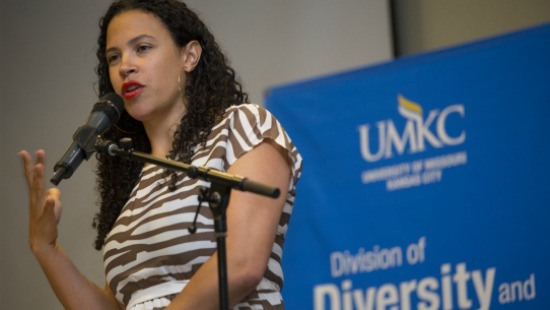 The 10th annual conference, “Together We Rise: 10 Years of Paving the Way,” at the University of Missouri-Kansas City focused on improving the lives of all women of color. More women of diverse backgrounds attend each year to share their expertise and to learn from facilitators and speakers. Shortly after keynote speaker Lacey Schwartz took to the podium, she made an emphatic statement: “Tell the truth about things that are hard to tell the truth about.” If that had been the case, her life would have been less complicated, and she would have known far sooner exactly who she was.